Last Friday saw the return of rock pioneers Interpol to Austin. 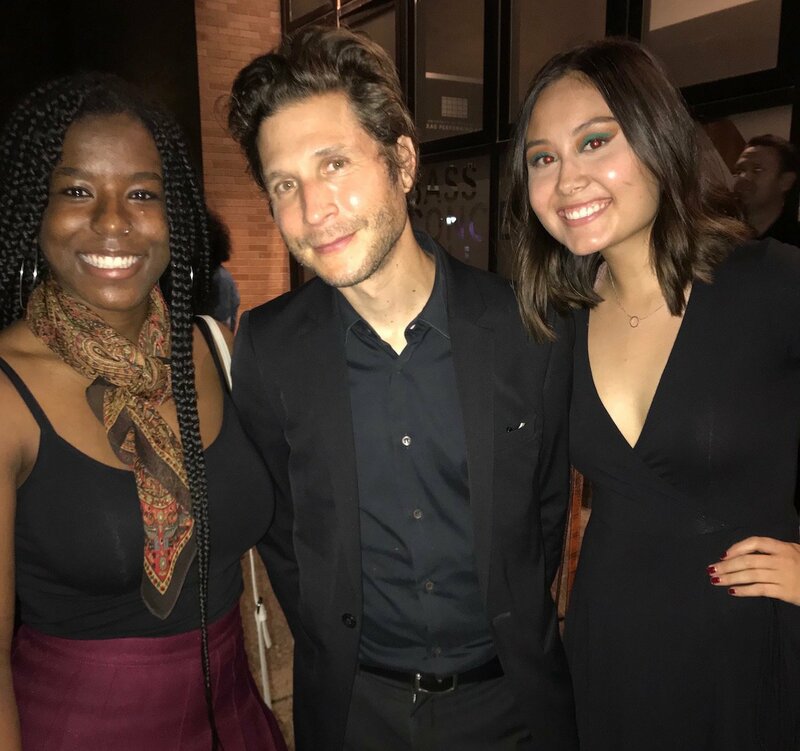 Touring off their sixth studio album, Marauder, the post-punk trio drew a nearly sold out audience to UT’s campus, with fans of all ages braving the crowd to experience a staple of 2000s rock. Interpol live at Bass Concert Hall. After the opening act of fellow New Yorkers Sunflower Bean, Interpol took the stage with a career-spanning setlist. Fan favorites such as "Evil," "NYC," and "Rest My Chemistry" did their due service, as well as newer tracks from Marauder. Their signature black formal attire added emphasis to their brooding melancholia. With their commanding stage presence dominating the attention of the concert hall, Interpol was clearly there to put on a show. As the band moved through their discography, I was transported back to my experiences discovering Interpol as a young music enthusiast. Their 2014 release, El Pintor, marked a critical turning point in my relationship with music discovery and curation and opened my eyes to an entire scene and subculture thousands of miles away from suburban North Texas. After gaining success alongside acts like The Strokes, Yeah Yeah Yeahs, and TV on the Radio, Interpol has continued to set themselves aside from the pack since their seminal 2002 debut, Turn on the Bright Lights. Although their work has helped define an era of post-punk revival, Interpol does not rely on nostalgia. The band has maintained their status as a cornerstone of indie rock by mastering their sound and navigating the competitive music industry with a clear intention and focus. Interpol refuses to rest on the laurels of their early success, and instead continues a self-reflective, critical approach to their work to ensure an authentic and evolving sound. Band members Daniel Kessler, Paul Banks, and Sam Fogarino leave no stone unturned when it comes to communicating among themselves as musicians and how they want to present their art to the world. (Left to Right): Music Director Ariel Pitre-Young, guitarist Daniel Kessler, Traffic Director Beth Wigton. 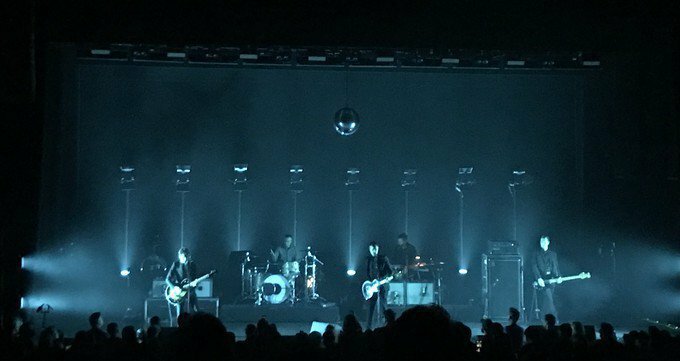 Whether the fans in attendance have been following the band since their early days of playing shows in New York City or their most recent work, Interpol continues to draw crowds of all ages and interests. Despite the band’s time of playing small clubs in Manhattan being long behind them, they continue to perform with the same commitment and effort as they did when they began their career. 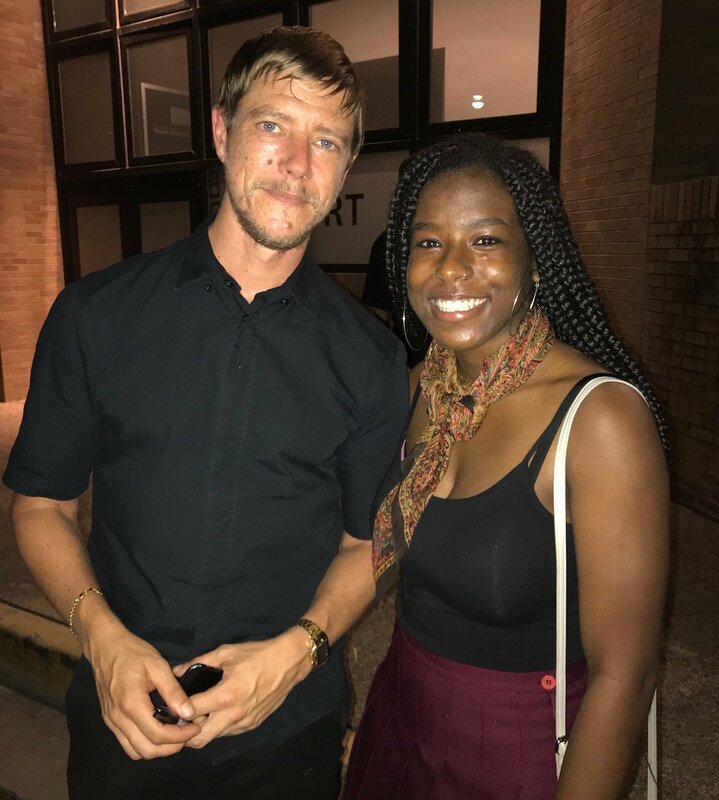 Singer/guitarist Paul Banks and Ariel. Of course, Friday’s show would not have been a true Interpol performance without "Obstacle 1." Throughout the final song of the set, fans were kinetic with energy and clearly moved by the performance of the evening. I found solace in being enveloped in the sound of Kessler’s handiwork on the guitar, Banks’ impassioned pleas, and Fogarino’s percussion driving the songs forward. As far as Interpol are in their two decade-long career, the bright lights are still on, and deservedly so.